Today's Mid Week Match-Up is a request from Scott who writes: I have held onto the convertible for too long...with three young children, I need something bigger but not quite the minivan that my wife has. Looking to spend 5-10k. Live in Central Florida. 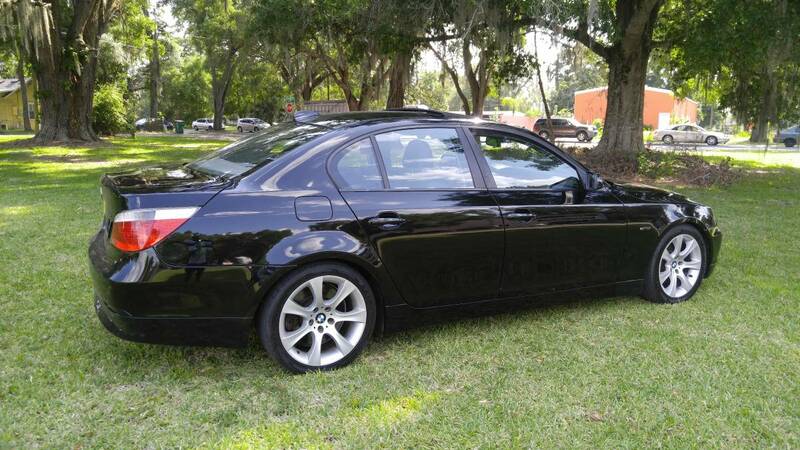 I need an auto as my wife cant drive stick, would love something with some kick to it. Something fun as I am giving up the convertible. When looking for a plus sized sedan with "some kick to it" the easy way to go is to just slide the year of your BMW 5-series starting new at $80k and just back until you find your price point. This 2005 BMW 545i here on eBay is offered for $8,300 in Rancho Cucamonga, CA...which is a bit of a drive from Central Florida. 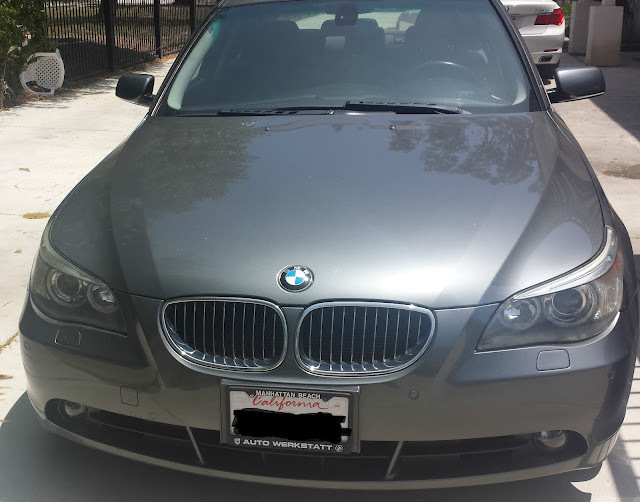 There is this blue 2005 545i in Addison, IL, but you can also find them on Orlando's craigslist, like this 2004 BMW 545i offered for $4,600. What do you recommend for Scott? Comments below. These are probably cheaper to own as automatics than manuals, as the 3 pedal cars are known to have a bit of an appetite for clutches. People seem to like the E39s more than the E60s, but I'm not completely sure why. Looks boil down to taste, and they say the previous generation handles better, but having been behind the wheel of a few E60s, they're pretty decent drivers. Aluminum bodywork means you've got a larger car with not a lot more weight. I support this recommendation. 2004-2007 Volvo V70R: 300hp, AWD, 6-speed automatic gearbox. Best way to find one is probably on the Swedespeed.com forum classifieds. People there seem to maintain a thread each month with all the S60R's and V70R's for sale across the country. Why not get the big sedan you want AND a convertible all rolled into one? Not sure how much "kick," but looks like fun in the sun for three more than one in the Sunshine State. Im not sure how they are long term but ive heard great things about the 535 engine. Its slightly more power than an e39 540. Plus you can gain like 50-100hp with a tune and an exhaust. Just keep a spare fuel pump around.